Raffael has always had a penchant for the creative life and has been making her own jewellery and clothing for some 20 years. She is completely inspired by the world around her, particularly the intricate patterns found in nature and in art, the dreamy colours of wildflowers and late autumn afternoons, and wistful tales of bohème beauties. Playing amongst her grandmother’s amazing wardrobe as a young girl was surely also a profound point of falling in love with elegant dresses and vintage fashion. This inspiration is coupled by her growing interest and passion for sustainable fashion. She loves the magic of wearing a unique, handmade, flowing silk dress yet believes this doesn’t need to cost the earth. By sourcing the most divine vintage Indian silk sarees, hunting down vintage lace and using new fabrics that are kinder to the planet such as organic cotton, bamboo and hemp, she strives to lessen her eco-footprint. Knots for Darling clothing is designed to be effortless yet flattering, with every piece either completely one-of-a-kind or limited edition. 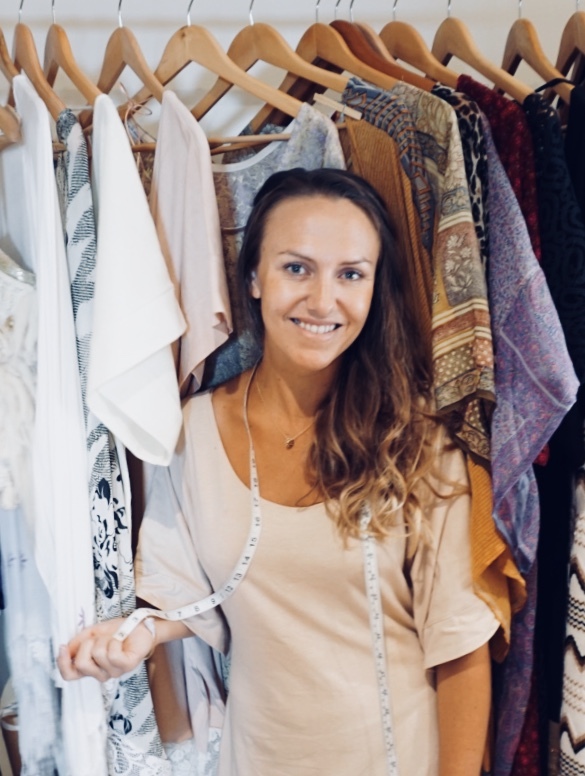 Every dress, every kimono, every top, scarf or skirt is carefully designed based on the fabric, and then cut, sewn and finished by Raffael in her Port Lincoln or Brunswick Heads home studio. The Sustainable Style Showcase, at Soundcity on Monday afternoon, is one of the last chances to catch Raffael and the latest Knots for Darling collection before she heads to the East Coast for winter.